Many of our clients and listeners don’t fully understand what overnight doula support looks like. Kristin and Alyssa, both Certified Postpartum Doulas, discuss the kinds of support their clients look for and how their team of doulas support families in their homes. You can listen to this complete podcast on iTunes or SoundCloud. You can also learn more here about overnight postpartum doula support. Kristin: Welcome to Ask the Doulas with Gold Coast Doulas. I’m Kristin. 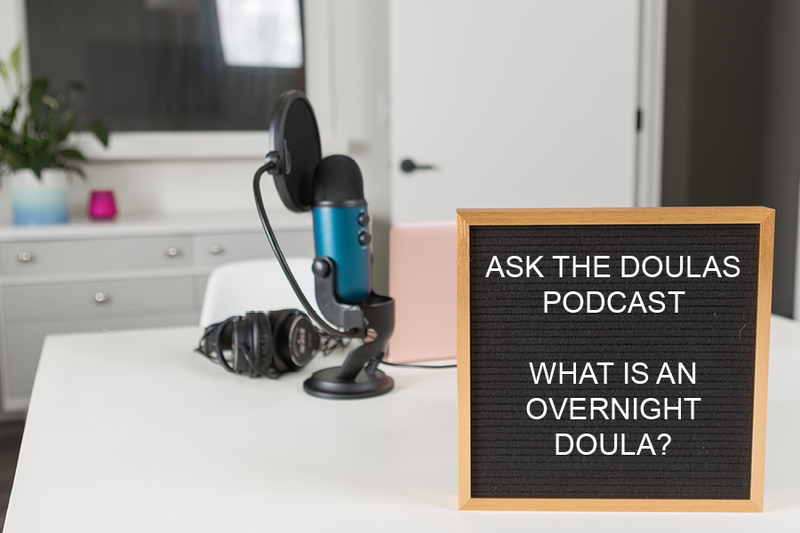 Kristin: And we’re here to chat about what an overnight postpartum doula does, as that is a question that we get asked often by our clients and our podcast listeners. So, Alyssa, my first question to you is, as a postpartum doula and sleep specialist, what do you see as the key benefits to a family in hiring overnight postpartum doula support? Alyssa: Whether they hire for sleep or not, it helps the parents get sleep. So let’s say they’re not even hiring me for a sleep consult. Parents don’t understand what sleep deprivation means until their in the midst of it, probably at least three weeks in. Like, our bodies are designed to survive a couple weeks of this, sometimes even three or four, but after that, our systems start to shut down. So if you think about overnight support being this trusted person who sleeps in your home to take over all those overnight responsibilities so that you can get a good night’s rest. Even a six-hour stretch or sometimes even a four-hour stretch makes you feel like a whole new person the next day when you’re used to only sleeping maybe one- or two-hour chunks. A four-hour stretch seems amazing in that moment, whereas right now if you told me I could only have four hours of sleep tonight, I would cry. I would be miserable the next day. And you, Kristin, as a birth doula, you know that feeling. If you’ve had one night of no sleep, you’re just wrecked. So you’re running on adrenaline. You’re sleep deprived. So having a doula come in and take over all that responsibility at night — obviously, she can’t breastfeed your baby, but you have a couple different choices if you’re a breastfeeding mom. If you’re a bottle-feeding with formula mom, you can literally go to sleep at 10:00 PM and wake up whenever you want because the doula can just feed that baby every three hours. Kristin: Exactly, and clean the bottles and change the diapers and burp the baby, all of it. Alyssa: Yeah. So if your partner is feeding in the middle of the night, you’re certainly not going to wake up to clean bottles and parts in the morning. The doula does do that. But for a breastfeeding mom, you can choose to pump instead of breastfeeding because it’s usually a lot quicker. So you pump and you set those bottles out for the doula. The doula wakes up when the baby wakes up; feeds the baby; burps the baby; changes the baby; gets the baby back to sleep — and Mom’s sleeping this whole time. Or, if Mom chooses to breastfeed, the doula can bring Baby to Mom so Mom doesn’t even have to get out of bed. I was just talking to Kelly Emory, our lactation consultant friend, and she was saying that when she was nursing, she would just side lie and her husband would bring the baby to her. She would lie on her side, so she didn’t have to get up. She didn’t even have to open her eyes if she didn’t want to. She was still kind of in this half-sleep state, and then when Baby was done on that side, her husband would take the baby and she’d roll over and she would feed on the other side, and then the husband would take the baby away, change the baby, burp the baby, and do all that stuff. So she said it was amazing. She took over one shift of the night, and he took over the next, so she would get a six-hour chunk of sleep and would feel amazing in the morning. So you’re able to tackle all those everyday tasks during the day because you didn’t have to also worry about those at night. Kristin: Yes! And I’ve also had overnight clients who prefer to come into the nursery and sit in a rocker and feed their baby rather than have me come in and disrupt their husband’s sleep. Alyssa: Sometimes they’re sleeping in separate rooms, too, because they’ve become used to that. So oftentimes, my goal as an overnight doula is to have both parents sleeping in bed together again, or wherever you were before this baby arrived. Kristin: Right, no more partner on the couch or in the guest bedroom. Kristin: So as far as other tasks of an overnight postpartum doula, sleep is one. So we can get Baby back to sleep and if they’re working with a certified sleep consultant, like you, then they can implement that. Alyssa: Yeah, I guess I didn’t answer that initial question. So if they do work with me as a sleep consultant, you can hire an overnight doula in conjunction with. So I offer this customized sleep plan for your family, and then our doula knows that plan, understands that plan, and implements that plan overnight. Alyssa: So you wake up again refreshed because you’ve slept, and then you have the energy to implement the sleep plan during the day. And then the doula comes in at night and implements that plan overnight. So it’s consistency because that’s always the key with any sort of sleep consult is that you have to be consistent. You can’t just do it during the day and then give up at night because you’re tired. Your plan will fail. Kristin: And so who hires a postpartum overnight doula, and how often do they use the doula support? Alyssa: Who hires them? Tired families hire them! You get to the point of exhaustion. I don’t think when you’re pregnant you’re thinking about an overnight doula because you truly don’t understand what you’re in for. But newborn babies sleep all the time, so they could sleep up to 22 out of 24 hours a day, so you’re thinking, well, of course, like, newborn babies sleep all the time. I’m going to sleep when the baby sleeps. They’re going to be feeding every two to three hours! Kristin: They get up a lot! Alyssa: Which means all day and all night, you will be up feeding every two to three hours, at least. So your sleep becomes these little tiny chunks. Because if you think if you have a newborn baby that’s eating every two hours, and it takes you an hour to breastfeed, and then after the breastfeeding session, you have to burp; you have to change the diaper; you have to get the baby back to sleep. You’ve maybe got 30 to 45 minutes, if you’re lucky, to sleep before the baby needs to feed again. Kristin: And some clients hire us for one overnight to get a good night of sleep and catch up; other clients hire us every night, and we bring in a team, in and out, or have one doula consistently. 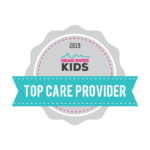 And some of our clientele have a partner who travels a lot, or I’ve even supported a family where the mother was going back to work from maternity leave and was traveling for her job, so as an overnight doula, I supported the husband as he cared for the toddler that was waking; I was caring for the baby. And so there are a lot of unique situations, but a lot of our moms who have partners who travel a lot want that extra support, whether they have a new baby or other kids in the household that need support, as well. Alyssa: I think it depends on resources. So if someone is sleep deprived and they’re like, I just need one night of reprieve, and that’s all we can afford and that’s what we’re going to do, then that’s what they do. Alyssa: Even if they don’t have the resources, oftentimes during pregnancy, if parents have the foresight to ask for postpartum support as a baby shower gift, they can have several overnights gifted to them by friends and family. Kristin: Which is better than all the toys and clothes they’ll outgrow. Alyssa: I always tell them, you’re going to get mounds of plastic junk that you’ll literally look at and say that’s hundreds of dollars’ worth of stuff I’m never going to use, and you could have had an overnight doula in your home so you could sleep. Alyssa: So I think it’s just based on resources because, like you said, we’ve had people hire us for, you know, two overnights and we’ve had two months straight. So I think it just depends. I mean, I don’t know that it’s a type of client. I think that’s just kind of based on resources available. Kristin: And we certainly support families who are struggling with postpartum mood disorders and anxiety, but that is not all that we serve as far as clientele. But for moms who are being treated in therapy, then we certainly are able to give them much-needed support and rest as we care for their baby, and we do have a package where we are able to lower our hourly rate for clients who are in the Pine Rest mother-baby program or are seeking therapy. Alyssa: Yeah, sleep deprivation is considered to be the number one cause of perinatal mood disorders, so all these moms with anxiety, depression, up to postpartum psychosis — when you’re sleep deprived, you’re literally torturing your brain and your body, and it’s really hard to function. So sleep is such an imperative thing, and for your baby, too. If you’re not sleeping and your baby’s not sleeping, physiologically, that baby needs sleep in order to grow, for their brain to develop, for their immune system to function properly. It’s so critical for both parents and children. Kristin: Agreed. So, really, anyone can benefit from it. Our shortest shift would be coming in at 10:00 PM and leaving at 6:00 AM, but a lot of clients extend that time. Alyssa: I’ve found that a lot of people like you to come a little bit earlier, especially if they have older children. So if there’s older siblings, let’s say 6:00 comes around and you’re trying to get dinner on the table. You have a two-year-old, a five-year-old, and a newborn. Alyssa: That overnight shift tends to, when parents say, yeah, yeah, come at 8:00 or 9:00 when I’m going to go to bed — that very quickly changes to 5:00 or 6:00. So either that shift moves up, or it just lengthens. So the doula can come from, a lot of times, 6:00 PM to 6:00 AM, and they do a lot of 12-hour shifts because they’re there for the hustle and bustle of getting dinner, wrangling toddlers, helping with the newborn, and then helping with bedtime routines for two or three children and then taking that infant newborn and helping them get to sleep. Usually, it’s in that order. Like, the doula will take the baby and put them to sleep, and then the parents get to spend some quality time with this toddler who is usually lashing out because they are used to being the only child, if there’s only one, and are really, really seeking that one-on-one attention that they’re not getting anymore. Kristin: Yeah, that’s the perfect time to bond, and they can read them a bedtime story and sing songs; whatever their nighttime routines were before Baby arrived. Alyssa: Yeah, and that’s one thing I stress, too, with my sleep consults is just having a really good bedtime routine, and even if I’m doing a consult for one child and there’s others in the household, I usually ask about them, too, because if you’ve got three kids who all have a different bedtime, and each bedtime routine is taking an hour, certainly whoever’s last on that list is going to bed at 9:00 or something, which is way too late for these little kids. So trying to consolidate and have a system in place and just get a schedule that works for the family, for everyone in the family, is a really big goal. Alyssa: So you mentioned earlier that a doula sleeps when the baby sleeps, and sometimes parents wonder, well, what do you mean? What does that look like? Depending on the house, we’ve had doulas sleeping on sofas in the living room. Kristin: Yes, that’s what I’ve done. Alyssa: We’ve had doulas sleeping in a spare room. We’ve had doulas sleeping in a spare room on the same floor, in a spare room on a different floor, and you can make anything work. Kristin: With monitors and technology now, you know the second a baby stirs. Alyssa: So parents are always like, oh, shoot, I don’t know how this is going to work. How am I going to do that? We’ve had blow-up mattresses in the nursery. Ideally, you want the doula to be as close to the nursey as possible, so they’re the one, when they hear that baby, they’re up; they’re there. Kristin: No one else gets woken up in the household. Alyssa: Yeah, you want the parents to be as far away. So sometimes I even tell them if you have a spare bedroom in the basement, go sleep there, because even with one of my most recent sleep clients, the first night we did the sleep consult, the doula was there overnight, and I contacted them the next day: how did you sleep? And they were like, oh, I wanted to so bad, but I kept hearing this phantom crying. Even when the babies weren’t crying, they hear it, anyway. So it does take, as parents, who are used to not sleeping for week after week after week — it takes time for your body and brain to adjust back to, oh, I’m able to sleep again. So it’s not instant. It usually takes at least a couple nights to get your brain to say, I can sleep. It’s okay to sleep through the night. I don’t have any responsibilities tonight. This doula is taking care of it. And it’s just a matter of them getting sleep in two-hour chunks instead of the parents getting sleep in two-hour chunks. So a doula can usually do two or three in a row before they’re too exhausted. Kristin: Just like a birth doula. We can do a couple nights with a client in the hospital without sleep, and then we’re done. Alyssa: Yeah. So for those clients of ours who we’ve had for two weeks straight or two months straight, it’s several doulas taking turns. Otherwise, they’re just too exhausted. Kristin: Right, and that’s where we sometimes will bring in a team if it is continuous care. Alyssa: But I think ideally, with sleep training, I would love to see every parent have a sleep plan and then a doula for five nights. That would just be — I don’t know; I think the mental well-being of these parents would increase drastically if they were able to do both. Kristin: I would have loved an overnight doula with my kids being 21 months apart; having a toddler and a newborn. It would have been amazing. Alyssa: Well, and some people, too, think it’s weird to have somebody sleeping in your home. I mean, always, when they meet the doula, they’re totally fine with it, but it is a weird thought to have this stranger come into your home who’s going to care for your babies. That’s why I think we’re so adamant about talking about our training and our certification process, and we’ve done background checks for people who want us to. Kristin: Yeah, and we’ve shown immunization records and CPR certifications and so on and liability insurance. We have all of that. Alyssa: Yeah, because especially with a mom with anxiety who needs to sleep and knows she needs this help, but now she has anxiety because a stranger is going to be sleeping in her home — we need to do whatever you have to, to make that mom feel comfortable to be able to sleep. Kristin: Yes, and we’re there to do just that. So feel free to reach out to us if you have any questions about overnight doulas. We’d love to work with your family! Remember, these moments are golden.